A reusable, eco-friendly, all-natural and more effective makeup remover cloth. A reusable, eco-friendly, all-natural and more effective makeup remover cloth in a travel size. The makeup eraser removes 100% of your makeup with water only. just wet the cloth and remove your makeup. this includes waterproof eyeliner and mascara, HD makeup and much more. The best part is - it’s reusable. Throw it in the wash and no stains remain. 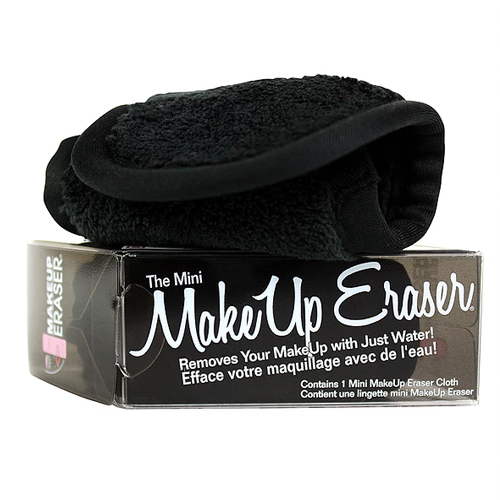 The makeup eraser will last up to 1,000 washes and eliminates the need to buy a disposable product to remove your makeup. 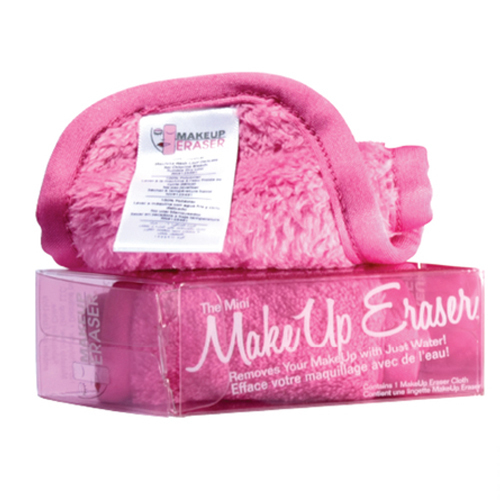 The makeup eraser cloth with a hand-sewn sateen edge that’s plush and soft to the touch. Treat yourself to a spa at home every day, while saving money! Made of specially knitted polyester/silk fibre which is finer than human hair.